Room 106 (2 sessions 8:30 and 9:25) Riding Pierce Transit buses can give you more options. This session will give you information about how to be safe using the buses and how to use the resources available to plan your trips. Room 106 (1 session 10:20) This workshop will review skills that employers are looking for in the workplace and how you can start building those skills now. By starting to think now about your future employment, you will ensure that you are well prepared and ready to impress. Come learn about ways to access employment services after graduation and resources that exist to support you in your employment process. Room 107 (2 sessions 9:25 and 10:20) Access Service providers, Troy Peterson from TCC, and Rhonda Sample from Bates Technical College will give an overview of services for students with disabilities at their respective campuses. We'll talk about tools you'll need to succeed in Higher Education. Bring your questions, and we'll give you some answers! Room 120 (3 sessions 8:30, 9:25 and 10:20) Blake, Isaac, Juan, Robert and Troy will share their experiences with work, independent living, college and more! Listen and learn from their success and ask questions during this interactive session facilitated by Lew Napolitano. Room 201 (3 sessions 8:30, 9:25 and 10:20) Learn how to handle bullying in the workplace and how to interact with your co-workers and supervisors if harassment occurs. Helpful tips about this topic will be provided. Help us maintain respect in the workplace. Room 202 (3 sessions 8:30, 9:25 and 10:20) Come find out about the 2019 Youth Leadership Forum. 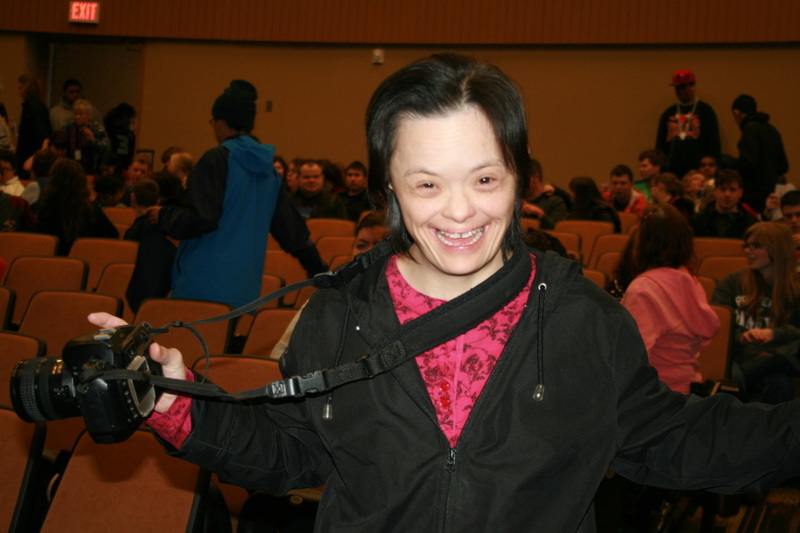 The Youth Leadership Forum (YLF) for High School Students with Disabilities is a (FREE!) 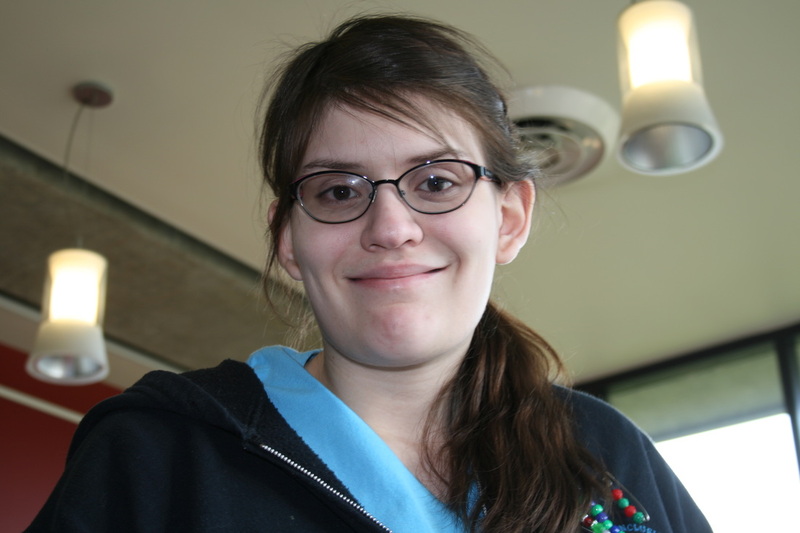 unique transition program for high school juniors and seniors with disabilities that began in Washington State in 2000. Students serve as delegates from their communities at this six-day, five-night event. 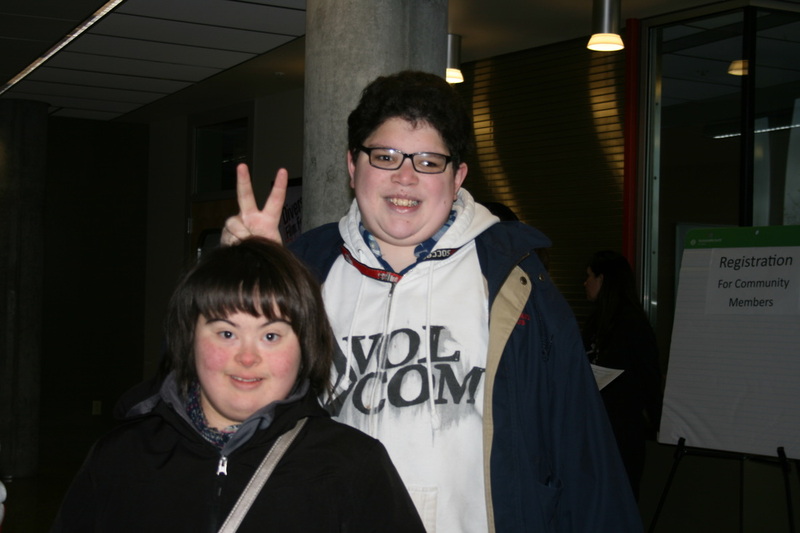 Young people with disabilities cultivate their potential leadership, citizenship, and social skills. Room 203 (3 sessions 8:30, 9:25 and 10:20) Learn how technology aides in learning skills in the community, staying connected socially, and navigating the city. Learn how to promote yourself with schedules and communication. Learn fun ways to quiz yourself and your friends on what they know. Let’s get your hands on some equipment and learn together. Room 204 (2 sessions 8:30 and 9:25) This presentation will cover best practices for creating a resume: what are the best things to include on your resume to get noticed, and what should be avoided when putting a resume together. We'll also look at the differences between chronological and functional formats. Handouts will be available along with a resource sheet showing what Tacoma Public Library has available for job seekers. Room 204 (1 session 10:20) Let’s watch this short movie and talk about it! ConVal Regional High School supports postsecondary transition through internships, Special Olympics Unified Sports, inclusive education, student-led IEP meetings, family engagement, and a regular diploma track for students like Garrett with intellectual disabilities. Room 220 (3 sessions 8:30, 9:25 and 10:20) As you approach graduation, it is important to create your own vision and set your own goals. Events like the Tools 4 Success conference can give you all kinds of resources, but what do you do with them? This session will give you the tools you need to explore the resources that are available to you and how to use them to reach your goals. Join Chisa O’Quinn from Wise for a workshop that will show you how to find your vision, get involved and be active in planning your own future. Room 301 (1 session 8:30 am) We will explore education as a critical component to independence. We will discuss, in fishbowl style, education - sharing concerns on the topic for individuals with disabilities and finding possible solutions and outcomes to increase independence for people with disabilities in the community. This workshop will be led by self-advocates and the appropriate service providers for the topic will have an opportunity to respond to the concerns and share possible solutions. Room 301 (1 session 9:25) We will explore employment as an important component to independence. We will discuss, in fishbowl style, employment - sharing concerns on the topic for individuals with disabilities and finding possible solutions and outcomes to increase independence for people with disabilities in the community. This workshop will be led by self-advocates and the appropriate service providers for the topic will have an opportunity to respond to the concerns and share possible solutions. Room 301 (1 session 10:20) We will explore transportation as an important component to independence. We will discuss, in fishbowl style, transportation - sharing concerns on the topic for individuals with disabilities and finding possible solutions and outcomes to increase independence for people with disabilities in the community. This workshop will be led by self-advocates and the appropriate service providers for the topic will have an opportunity to respond to the concerns and share possible solutions. Room 302 (2 sessions 9:25 and 10:20) This workshop will focus on 10 tips for preparing for a job interview and what to expect during an interview. This will also include mock interviews and a discussion on disability disclosure. Room 303 (2 sessions 9:25 and 10:20) Learn about workplace self-advocacy. What are your rights? Should you disclose your disability? How do you ask for accommodations? Find answers to those questions and more! Also, learn how the Developmental Disabilities Ombuds can help you advocate! Room 304 (2 sessions 9:25 and 10:20) Do you know what to say? It's important to make a good impression in those first few minutes you spend with potential employers or others. In this class, you will learn how to craft your own simple “about you speech” and have the opportunity to practice with other participants in a safe and fun learning environment. ​Use Playback Theatre and other interactive theatre techniques as tools for community building, education, and social change. Provide affordable performances for the public and those who lack resources. Are a community resource and share our artistic skills. Empower communities and individuals by providing a forum for their stories to be shared, heard, and honored. Maintain a high level of artistic quality and integrity by providing ongoing training for our performers. 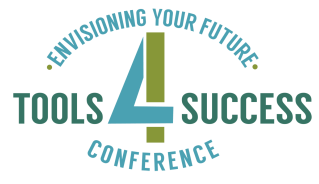 Thank you to all the school districts, youth, community members and organizations who attend and support others to attend the Tools 4 Success Conference. ​and support others to attend the Tools 4 Success Conference.